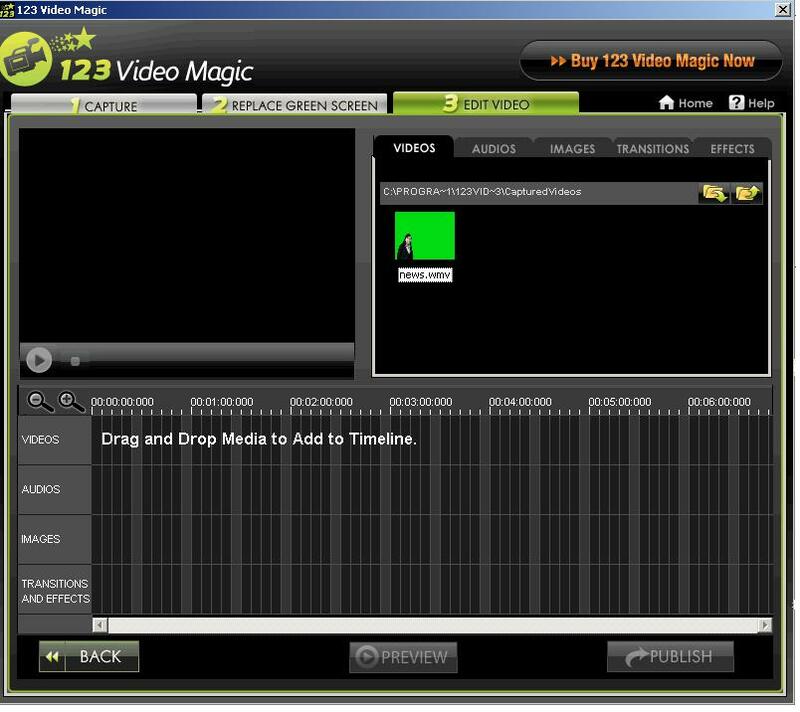 123VideoMagic Pro is an easy to use software which enables you to capture and edit videos. It helps in making professional videos with great ease. Green background of videos and images can be replaced with your own images and videos. With 123VideoMagic Pro you can either record a new video using a web cam or any other video recording device, or use a preexisting video. It also allows you to merge two videos, superimpose still images to your videos and allows you to superimpose audio to it. It has attractive graphics and fast previews. * You can add your own videos or pre-existing videos to the background. * Video can be recorded in an easy and efficient way. * No worry of reading while recording! Easy to use teleprompter allows you to read the text for video while recording, with great ease. * Green Screen opens up new possibilities for photo enthusiasts. Green background of the videos and images can be replaced with background images and videos based on interesting themes. * 50 theme based images and 7 videos are available in this product to choose from. * You can replace the green background in your pre-existing Videos /Images with your own images and videos by browsing them from your hard drive. * Videos with following formats can be edited in this product -wmv, avi, mpeg, mpg. Images with following formats can be edited in this product -jpg, bmp, gif, png, tiff, jpeg. * Few sample videos and theme images that can be replaced with green background are also provided with the application. * Option to mask the video/image is also provided which helps the user to mask the intensity of the green color of the background. * Video can be saved or published in avi, mpg, mpeg, hav or wmv formats. * Images can be published in bmp, gif, png or jpg formats. * Edit the videos. Combine more than one video. * Overlay image/audio on a video. * Add exciting transitions between two videos or video and an image. * Enhance your existing videos with the help of 123VideoMagic and get professional results. * Real time recording with live preview with one click background replacement.